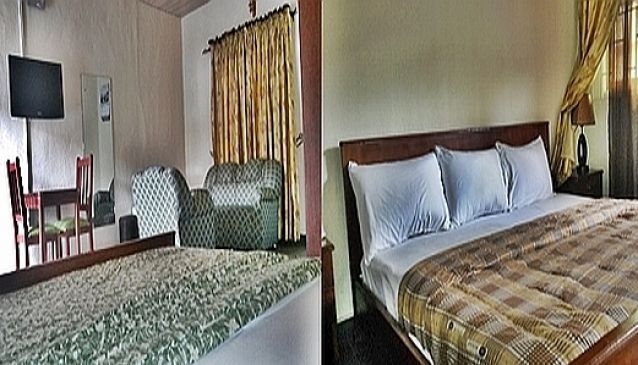 Westdoor Lodge is a hotel, bar, restaurant located on the busy Allen Avenue in Ikeja, Lagos. The location is on Gbolade Adebanjo close, a quite street off the busy Allen Avenue. It provides a quiet, relaxing place to take time off and have a relaxing or unwinding time. The lodge has a bar, restaurant, event hall & a lounge(opening soon). The bar has a wide space with TVs arranged in positions where you can always see them. The restaurant can bring your food order to you here. The rooms are well decorated, offer good amenities like remote controlled ACs, television, cushions and a confortable bed to rest in. Westdoor Lodge is located about 10 minutes from the Ikeja City Mall where you can shop, watch a movie, eat intercontinental meals and see modern Nigeria.